Music festivals and travel should go hand in hand as what better way to get to experience the culture of a country than through rocking out with the locals to amazing bands. So which music festivals do you absolutely have to get to at least once? Let's take a look at 5 legendary festivals that will leave you begging for more! Coachella is an absolute must on an serious music lovers list. It takes place in the middle of a desert in California during April and is always host of top notch acts rocking the nights away. Hollywood celebrities are always in attendance too in large numbers mingling with the crowds to add to the experience. Who could leave our very own Glastonbury off of this list when it attracts the type of stellar bands it does even after all these years. An incredible 175,000 festival goers turn up each day at Glastonbury and tickets are next to impossible to secure unless you are quick on the draw. Glastonbury takes place every June in Somerset and is the nearest to your doorstep from this list. Exit takes place in Novi Sad, Serbia in July and it is widely regarded as the premier music festival in Europe. Serbians love their music and a good party so the atmosphere is second to none as acts play hard and festival goers have the time of their lives. Lollapalooza takes place every year, usually in August, in Chicago and is jam packed full of top alternative, rock, metal and hip hop acts so that nearly every musical taste is catered for. Any band that is worth its salt plays Lollapalooza so make sure you make it here at least once in your life. 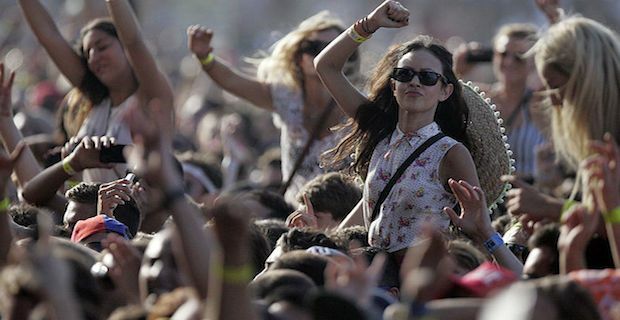 Rock al Parque is a mammoth music festival and easily the largest in South America. It is a 3-day festival held in in Bogota, Columbia and has the distinction of being the only festival on this list to be completely free of charge. Rock al Parque takes place in Simon Bolivar park in August and offers a unique opportunity to hear some amazing South American bands in action.